While many homeowners have a vision for their outdoor oasis, space can create limitations. It could be that the actual backyard is small in size or a unique corner lot layout that presents challenges. 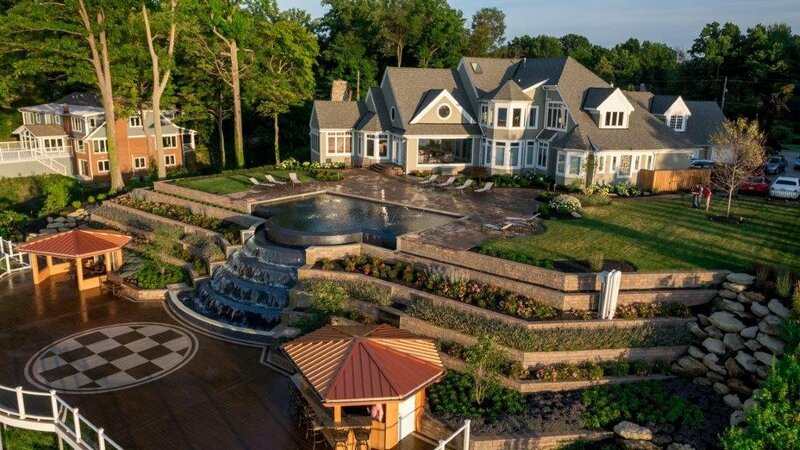 With both of these concerns on their plate, one Avon Lake homeowner sought a landscape design firm who could help them make the most of their backyard space. After hearing about Green Impressions from some local friends, they knew they had found the right match. To make way for the new backyard landscape design, the first step was to remove existing structures. This included the deteriorating deck as well as overgrown plantings that had been added years ago. Once removed, multiple patio spaces were created using decorative stamped concrete. This same type of concrete was also used to build a pathway to the driveway, establishing an easy route between the front and back yards. The installation of elite aluminum fencing, meanwhile, ensured that the backyard landscape design was enclosed to keep both pets and children safe. 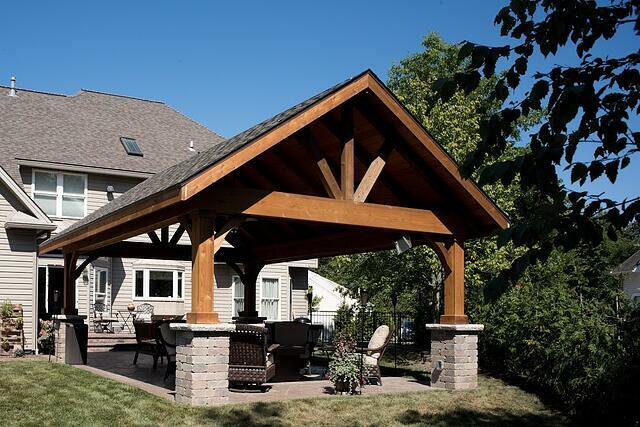 In the interest of designing an outdoor space for all seasons, a cedar pergola structure with open-ended gabels was included in the backyard landscape design. 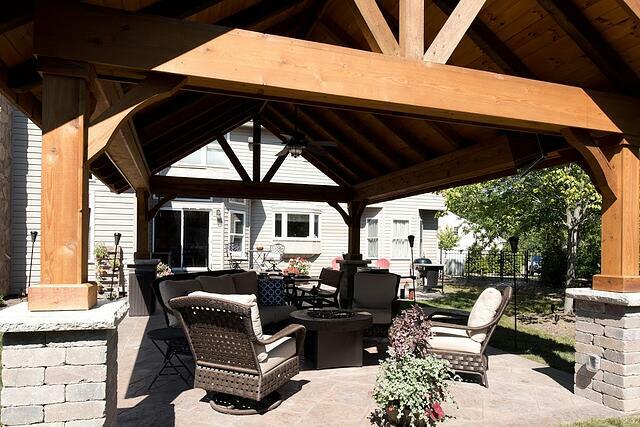 With lounge furniture, a dining area and an attached television, the cedar pergola became the perfect spot for relaxing alone or spending time with guests — in both good and bad weather. Along with the backyard landscape design itself, the homeowner was also impressed with the professional service they received from start to finish. That’s why they continue to look to Green Impressions for landscape design advice as well as other maintenance and snow removal services. Does your backyard landscape design need a new look? You can count on the team at Green Impressions to give you a landscape you’ll love. Request a free consultation today.